It's time for the Newton's Nook Holiday Release Sneaks!!! You are going to love this release and it's a big one... 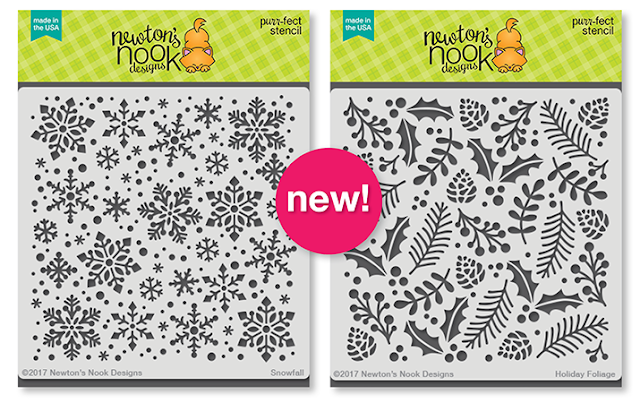 So many stamps and dies perfect for all your Holiday Crafting! 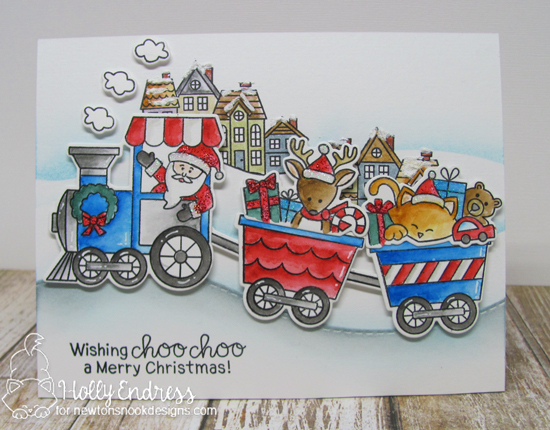 All Aboard For Christmas (and it's coordinating dies) and Holiday Sentiments. 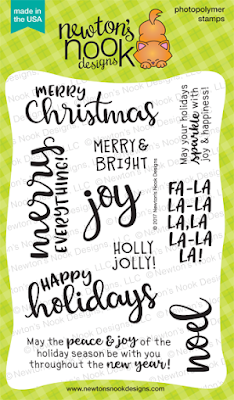 My first card today uses Holiday Sentiments and the Holiday Foliage Stencil. I used the stencil to dry emboss with and created a soft detailed background. Then I added some Gold Thread and a Stag head (Splendid Stags Die Set) die cut from some Gold Glitter paper. I stamped the sentiment from the new Holiday Sentiments onto some Vellum and Heat embossed it with Gold SParkle Embossing Powder from Wow. Then I trimmed it out with my scissors. I added some foam tap behind the sentiment and adhered it over the thread. I added a few Gold Sequins for more sparkle. I created a scene and colored the images in with Distress markers and adhered the panel to a White card base. Then I stamped all of the Train images onto some Bristol Smooth and colored them with Distress Markers as well. Once they were dry I used the coordinating dies to cut them out. I added some extra details with Nuvo Drops and Stickles. 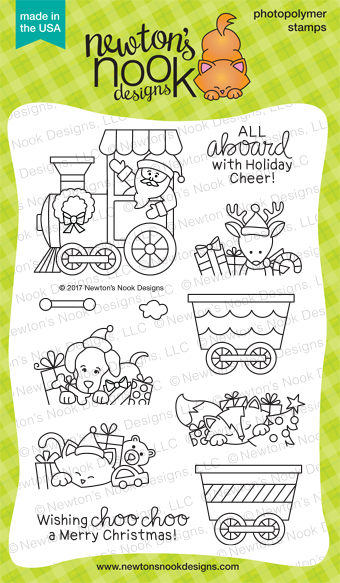 Would you like to win the “All Aboard for Christmas” or the “Sentiments of the Season” Stamp Set? Gorgeous cards with a lots of holiday sparkle and shine!!!! The first card is so elegant and I really love the deer stag. added sparkle & snow texture. What terrific cards! 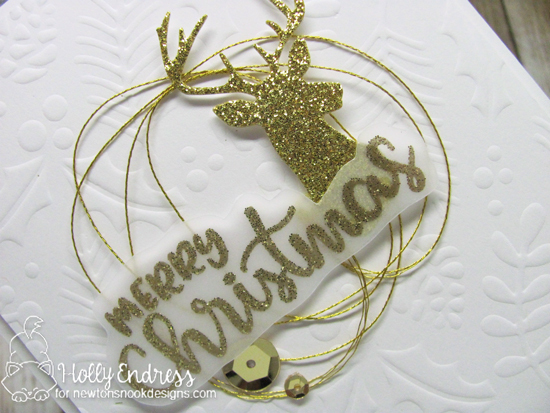 The design of your 'merry Christmas' card is PERFECTLY paired with that sparkly, glittery stag die cut and twirl of gold cord - LOVE IT! 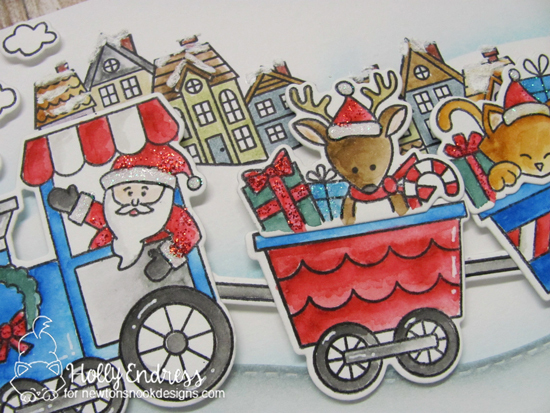 And I love the depth & dimension you gave to Santa's sleigh with the cute neighborhood behind it. I really enjoyed these! Thank you for the beautiful inspiration! I'm in LOVE with that gold deer card! SO beautiful! And the village behind the train was such a fabulous idea! Thank you for the fabulous inspiration today! Love love love your first card!! The white and gold is so elegant and all of the sparkle is totally fabulous!!! Love how you used the stencil to dry emboss! I love your cards, especially the trains! These are two great cards !! The little winter scene is just irresistibly cute ! Fabulous! I love the gold stag and gold thread on the first card. So elegant and striking! Also loving the playfulness of the second card! Awesome cards! 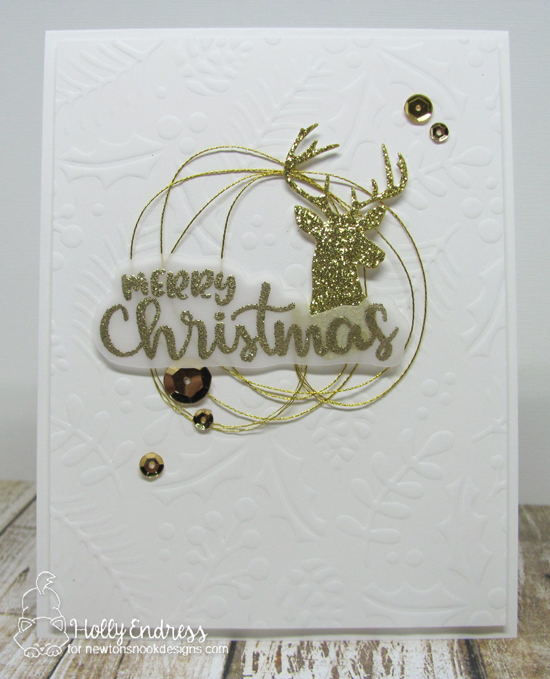 Love the cute train card, and your dry embossed stencil with the deer looks fabulous! Love that train set! Great projects. Fantastic cards! The first one is so elegant! Wonderful cards. I love how you used the Holiday Foliage Stencil. Wow... you created a great sxene using the new stamp set! And I love how you used the stencil on your first card. Awww!!! Two gorgeous cards!!! Love, love, love them!!! Both of your cards are just gorgeous. Love both cards, the glitter deer is great and the Christmas train so adorable! This golden card is so elegant! I love it! Loving your cards. Your colour palettes are just gorgeous. The holidays are the perfect time for friends and family to get together. Fun and useful, holiday crafts are something that everyone can participate in.